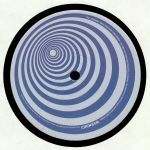 Xhz - "Jazz 2 Jazz"
Jake Flory - "14th Groove"
Review: The Beeyou crew are back with an EP spring loaded with groove, soul and rolling baselines, Mystery men Xhz take control of the A1 with a timeless master piece, Jake Flory is the main behind the grooves on the B side. B1. 14th Groove is a beautifully pieced melodic roller & the B2. Distress is a striped back swing infected track perfect for creating an atmosphere.